Following two years of product management, Joe McMahan served in the Peace Corps as a Small Enterprise Development volunteer for the United Nations Food and Agriculture Organization. After completing his service, he remained in East Africa for an additional year, where he worked to develop the specialty coffee sector through TechnoServe's Volunteer Consultant Program (now the TechnoServe Fellows Program). 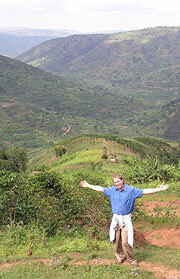 Joe currently supports strategy development for The Coca-Cola Company's sustainable agriculture program. I will never forget my first night in Kalawa village. As a Peace Corps trainee, I would be living for the next three months in a crumbling mud house in rural Kenya. My host family spoke little English and had few possessions, yet I was amazed by their friendliness and generosity. As I sat down to a dimly lit meal of goat stew, a thousand thoughts raced through my head: How would this experience change me? How could I help in a culture so different than my own? Had I made the right decision? Regardless, I was determined to make a difference. It was not long before my romanticized view of development began to fade. East Africa is home to thousands of NGOs, and working at a grassroots level provided a firsthand view of their outcomes. Handout oriented development models were rarely effective, and projects defined by good intentions but limited planning were all too common. These efforts often created a welfare mentality and bred mismanagement, and most were not sustainable -- as soon as funding was pulled, the projects would fail and people were no better off than when they started. There are circumstances that necessitate humanitarian aid, but I found that most people in my village did not need charity. They were intelligent, hardworking and more than capable of taking care of themselves. What they lacked was a level economic playing field and the tools needed to succeed in a market-driven world. My saving grace was my Peace Corps assignment. My business background provided me with an opportunity to work with the United Nations, teaching farming as a business and establishing market linkages for smallholder farmers. I was surprised at how transferable business skills were to the development field, and the sustainable impact was rewarding. Two years after my first bewildering evening in Kalawa village, I had become inspired by the work ethic, resiliency and ingenuity of smallholder farmers in my community. I realized their vast potential, and believed business-driven yet socially responsible development could lift millions out of poverty. The burning question was what to do next. My inspiration came at a value chain conference in Nairobi. There, I learned of TechnoServe’s work in the Tanzanian coffee sector. 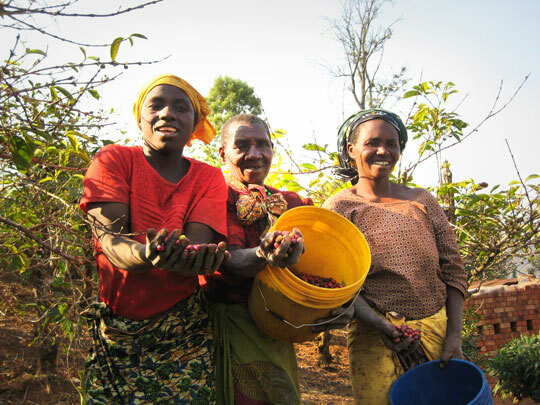 By identifying a business opportunity with a direct link to reducing rural poverty, TechnoServe helped increase incomes and improve livelihoods for thousands of smallholder farmers while increasing the country’s production of specialty coffee. TechnoServe was not giving a handout, but rather providing skills, tools and market linkages to help rural farmers help themselves. With methodical upfront planning, market-driven performance targets, and a clear and sustainable exit plan, this was a development model I could align with, and in early 2008 I joined TechnoServe as a Volunteer Consultant. 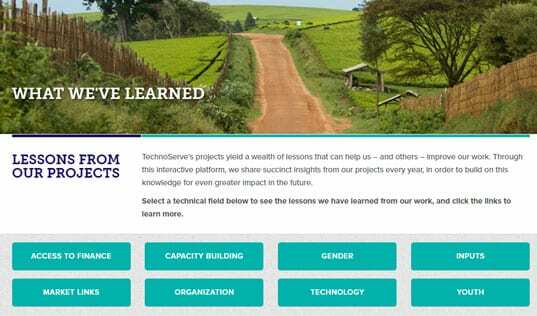 I joined TechnoServe in a pivotal year; the organization had just received $47 million from the Bill and Melinda Gates Foundation – TechnoServe’s largest project grant yet. The Gates-funded program would scale and replicate this model. 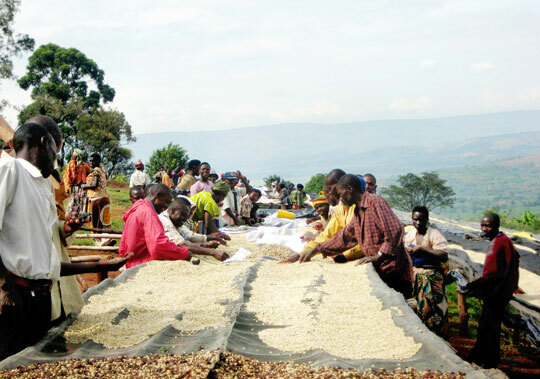 The initiative would help smallholder farmers in four countries – Ethiopia, Kenya, Rwanda and Tanzania – to improve the quality and quantity of their coffee for sale to the specialty market. After four years, the program has reached 170,000 smallholder farmers and 280 wet-mill businesses. As a Volunteer Consultant for this initiative, I conducted and analyzed farm-level assessments of smallholder cultivation practices. Growing conditions varied greatly – not only by country and region but by cooperative and individual farm. 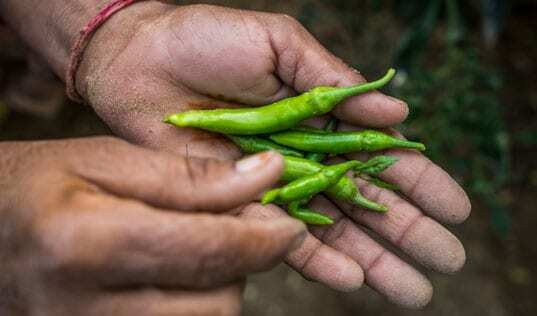 Factors such as pest and disease control, erosion and soil management, and postharvest processing had a significant impact on yields and quality, and these findings were used to customize farm management training for thousands of farmers. This agricultural training provided a critical link in TechnoServe’s value chain model, and when combined with training on business operations, financing for cooperative-owned milling equipment and linkages to specialty markets, the initiative provided a holistic platform to increase incomes and improve smallholder livelihoods throughout East Africa. More than three years have passed since I returned to the U.S., but my work with TechnoServe has had a profound influence on my career path. The organization affirmed my commitment to “Business Solutions to Poverty,” and I have since earned an MBA from Duke University focused on social entrepreneurship and international development. 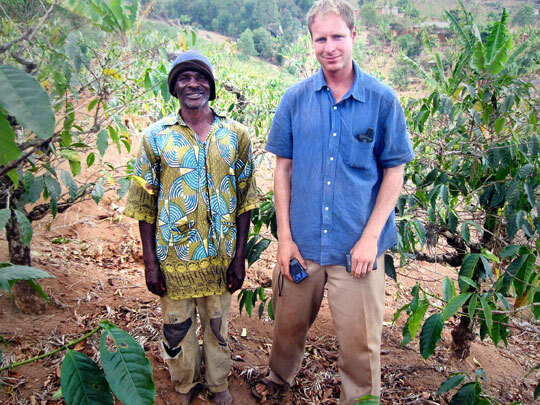 Through the MBA program, I participated in a summer internship with Mars, assisting rural cocoa farmers in Indonesia. This, in turn, led to my current role supporting The Coca-Cola Company's Sustainable Agriculture program, through which the Company has partnered with TechnoServe on several ambitious and innovative initiatives. Naturally, I remain impressed by TechnoServe’s model, and am indebted to my experience as a Volunteer Consultant for where I am today. I am confident TechnoServe will continue to provide economic opportunities for millions across the developing world, while providing a model for sustainable, market-driven development that others will follow. I am excited about the potential of this work to transform lives and create a better world, and I hope to remain engaged in these efforts regardless of where life takes me next.